Conversion of existing nondescript residence to an authentic Craftsman Style home with the remodel and addition of 1,100sf to existing 2,200sf residence. 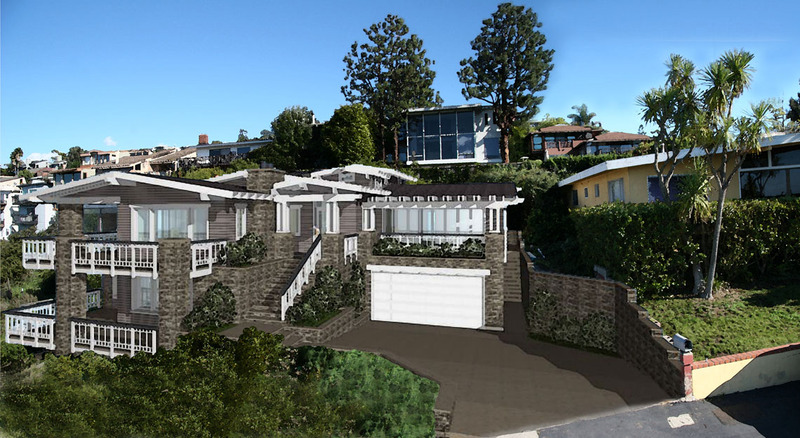 The project includes the demolition of 50% of the original structure, construction of a subterranean garage with a master suite above; existing lower level additional master suite; modernized expanding kitchen; office and indoor/outdoor entertainment area. 3D modeling was implemented, demonstrating the project would not impact existing view corridors from residences at adjoining properties above the site.